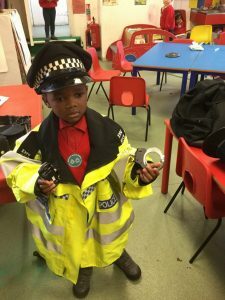 Oaks class have been learning about how the Police help us. We had a visit from a Police Detective who told the children how to keep safe and never run off from their parents when out and about. 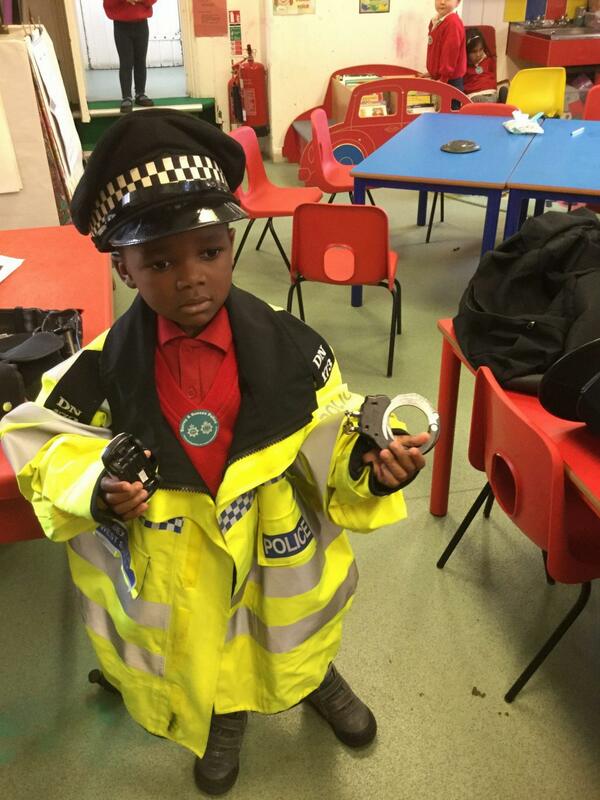 The children were lucky enough to be able to try on all sorts of police hats and had their fingerprints taken! Next week we are learning about fire-fighters and the important job they do. We will be having a visit from the fire-fighters on Tuesday morning around 9.15am. Any non-Tuesday children are welcome to come in and see the fire-engine, please drop off at 9am and collect again at 10.30am.